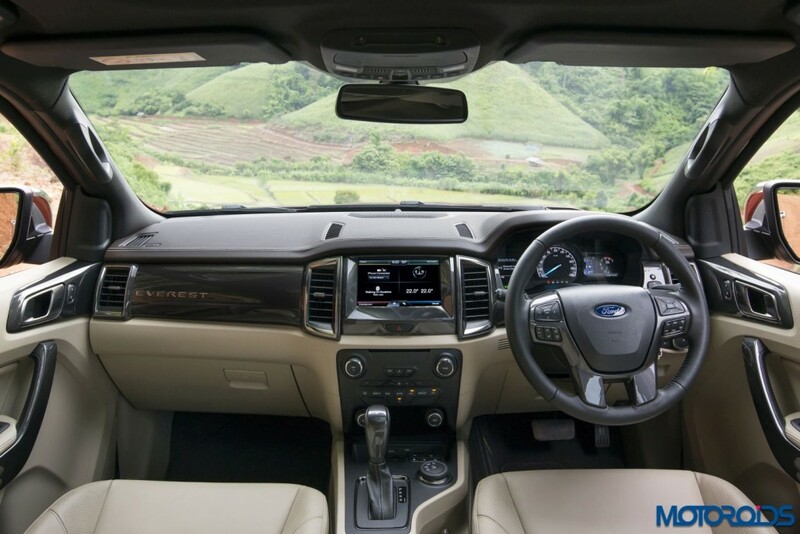 Ford India has confirmed that the all-new Endeavour will be launched in January 2016. The website has also been updated with all the features and variants of the 7-seat premium SUV, including the brochure. The new new Endeavour will come equipped with two diesel engines from Ford’s Duratorq family. First up is the 3.2-litre, Duratorq, five-cylinder TDCi diesel engine that delivers 197 hp of power and 470 Nm of torque. This engine will be exclusively paired to a 6-speed automatic transmission and a 4WD system with Terrain Management that has three modes – Normal, Snow/Gravel/Grass, Sand and Rock. The second engine is a 2.2-litre Duratorq, four-cylinder, TDCi diesel unit that puts out 158 hp of power and 385 Nm of torque. This engine can be had with either six-speed automatic or manual transmissions, with 4WD being an option. In 2017, Ford India plans to introduce the Endeavour with an India made 2.2-litre diesel engine, to be dubbed the Panther. The new Endeavour will feature equipment like Semi Auto Parallel Park Assist, Rear View Camera, Climate Control, Ford’s Sync 2 infotainment system with a wide touchscreen, two USB ports, and SD card slot. Comfort and convenience goodies include leather upholstery, LED interior lighting, 3rd row seats with power folding and 50:50 split, power tail gate, Active Noise Cancellation, a sun roof and a “multi-intelligent” instrument cluster with two TFT screens. On the safety front, the new Endy will bring in as many as 7 air bags, Hill Descent Control, Hill Launch Assist, Electronic Stability Control, Traction Control and Torque on Demand. A variant wise feature list is not available yet. 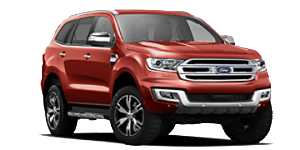 Ford has not revealed the prices for this upcoming SUV but we expect the new Endeavour range to carry a price tag of INR 20-28 lakh. To be locally assembled at Ford’s Chennai plant with minimal levels of localization, the new Endeavour will rival SUVs like the Chevrolet Trailblazer, Toyota Fortuner and Mitsubishi Sport, the Ssangyong Rexton and Hyundai Santa Fe.